In 1894 French Intelligence was made aware of an unnamed French Officer who was sending state secrets to German Intelligence. The investigation into the case was prejudiced from the start. Captain Alfred Dreyfus was accused, court-martialed, convicted, and sent to Devil’s Island in French Guiana on flimsy evidence. The deciding factor in the alleged treason charges brought against Dreyfus seemed to be that he was Jewish. Emile Zola, a French novelist, playwright, and journalist then published an 1898 article in the Paris daily L'Aurore titled J’Accuse in defense of Dreyfus. The article pointed out what Zola perceived to be corruption and anti-Semitism on the part of the government and military. His championing of Dreyfus was not easy for him and would cost him dearly. In this book author Michael Rosen does an excellent job of bringing out the drama of this advent. He describes Zola’s flight to London and the pressure that Zola’s actions brought upon him. At times discouragement and even a stark loss of hope plagued Zola. The author paints a picture of Zola that allows the reader to sympathize with both Zola and Dreyfus. Zola continued to write and publish during his exile. They are very demonstrative of his continued protest against corruption in politics and the military. 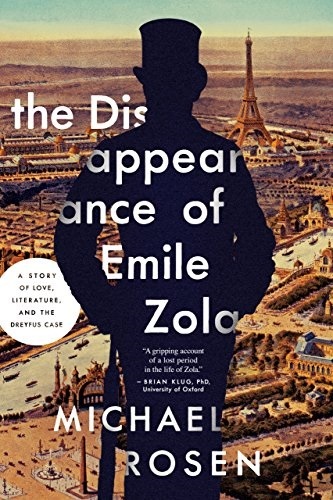 This book makes it clear that Zola’s bravery in drawing attention to the plight of a loyal Captain Dreyfus sowed the seeds of Dreyfus’ release. In the end, the actions of Zola and other writers caused the complete exoneration and reinstatement of Dreyfus into the Military with a rank increase to Major. The book is well written, painstakingly researched and very informative but I cannot help but feel that it is perhaps better suited to use as research material. Was I charged with writing a paper of any sort about the Dreyfus Affair, this book would become invaluable. When it comes to being a book to read and enjoy, not so much.